grown in just a week! All I’ve done is add a little water every few days. Hi! I am intrigued by your photo and project! 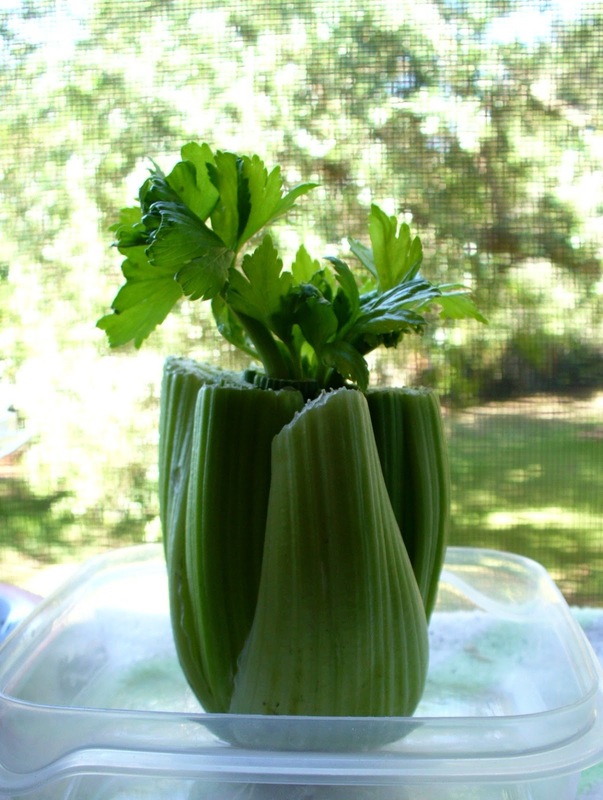 I too have done the same thing with the bottom of a celery bunch but put mine in soil. But yours is in water, not soil and has grown much faster then mine in the soil. Time for another experiment! YAY! I've had mine for about 3 months now and it's just a little bit bigger then yours in the h2O. Oh, how interesting! I got this one pretty big, and was impressed with how quickly it grew. I can't remember exactly how far I let it grow before it went into soil unfortunately. You'll have to let me know how your next experiment goes!